Even if you don’t have a winter wonderland outside your home, you can still create a pretty snowy landscape to enjoy indoors. 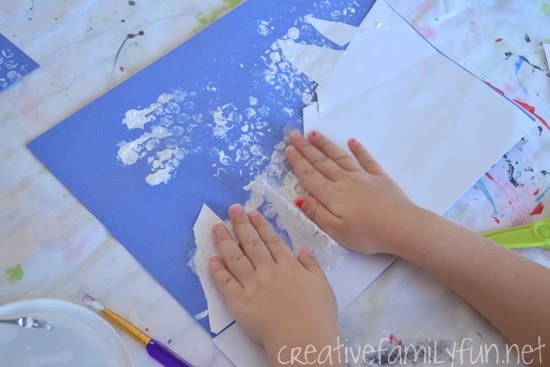 This simple art project can be easily adapted for both preschoolers and elementary-aged kids. 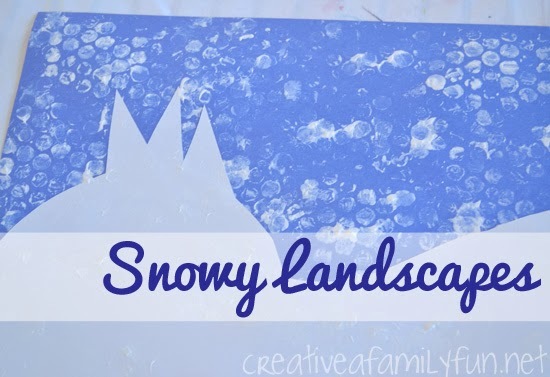 Use your white paper to make some rolling hills, mountains, snowy trees, or all three for your landscape. A simple curvy strip cut from the white paper makes a lovely rolling hillside. Small triangles work great for snowy pine trees. 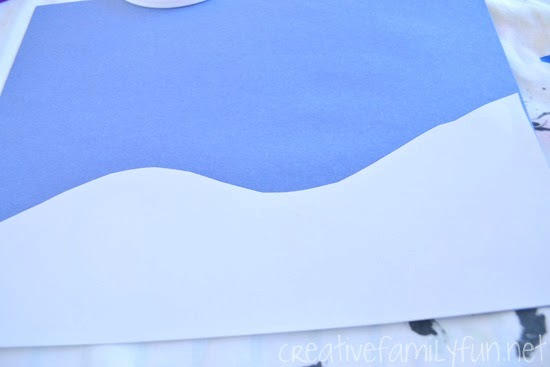 Arrange and glue your white paper to your blue construction paper. Now it’s time to add the snow. 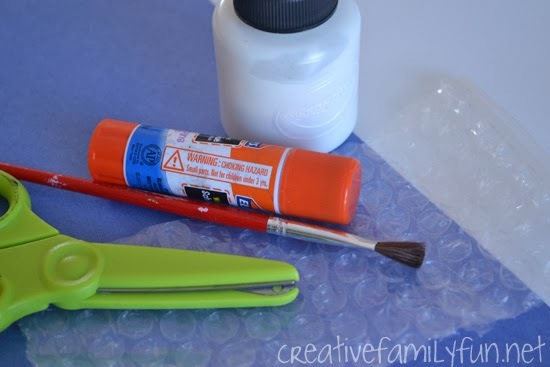 Cut a small bit of bubble wrap and paint white paint all over the bumpy side. Turn it over and start stamping you picture. Keep repeating until you are satisfied with the amount of snow. In the end, my daughter and I had a lot of fun making these landscapes together. Often, I’ll sit side-by-side with my girls and craft with them. It keeps me from hovering and trying to control the process. The result, my 4-year-old did all the work herself and was very proud of her finished landscape. 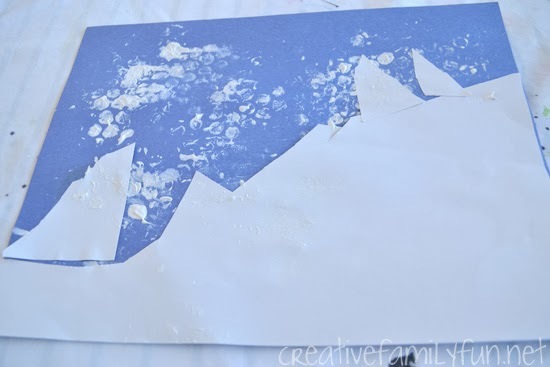 Get inspired by the snow and go craft with your kids!